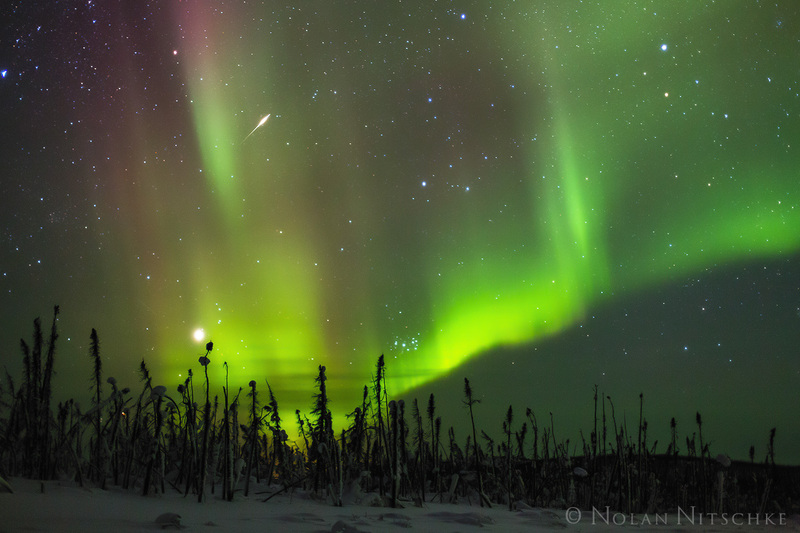 A shooting star and colorful aurora over the snow covered stunted trees of Alaska. Photo © copyright by Nolan Nitschke. 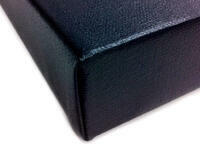 Lustre Endura Paper Print matted with acid free matte and backing ensure durability and archival life. 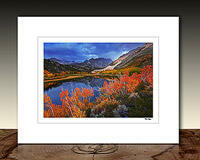 Matted Prints are hand signed in the bottom right corner of the print and can easily fit into a frame of your choosing.